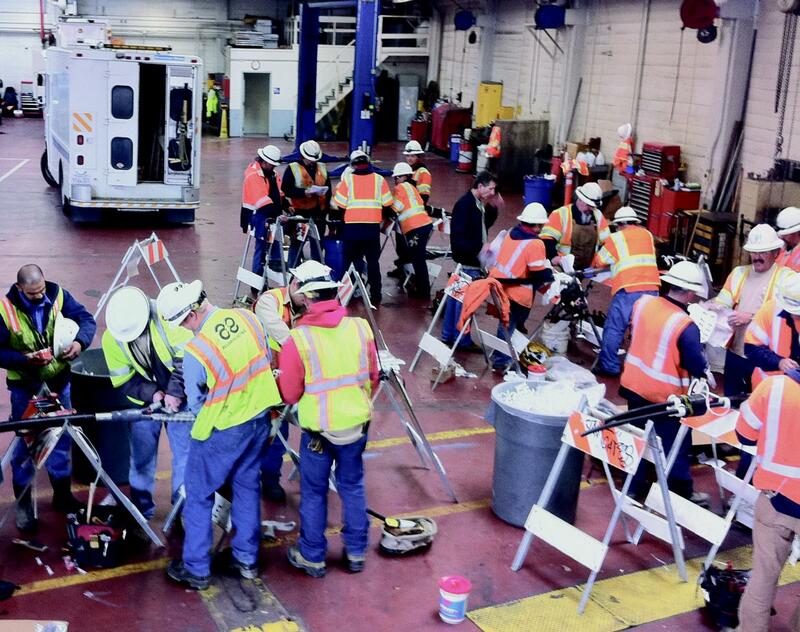 The IMCORP Factory Grade® certification program is a best in class addition to existing utility underground cable system installation training. This program is designed to further develop the knowledge level and craft skill level of contractor or direct utility installation crews. Utilities benefit from knowledge IMCORP has accumulated over the past 20 years, while ensuring cable system quality and reliability utilizing its Factory Grade® assessment technology. The Factory Grade® certification program uniquely supplements existing classroom training and classroom skills application by incorporating the Factory Grade® assessment of field installations and feedback regarding workmanship and individual skill levels. Utilities determine the certification period and recertification requirements, typically on an annual cycle. The IMCORP Factory Grade® certification program complements the utility and manufacturer provided training by reinforcing why adherence to installation best practices is critically important to overall distribution system reliability performance. › What is partial discharge (PD) and how do cable systems fail? Upon completion of the classroom training portion of the program, IMCORP and the assist crew will go out to the field to perform assessments on installations performed by the crew prior to training. These field assessments provide a comprehensive audit of installation techniques and handling quality in the real world environment. This segment of the program is designed to assess a statistically significant sample of cable system installations performed by the crew and should be scheduled over a 5-6 day period. Both electronic data results and physical evidence is collected during this phase of the program. Once all field condition assessments are complete, the team moves back to the classroom to review the results of the field assessments and examine all physical evidence collected while in the field. Pictures of substandard components detected in the field by the IMCORP Factory Grade® assessment are used to illustrate issues of tolerance and precision. A review of best practice tips on prevention of PD producing defects is conducted and a checklist of common issues in substandard components is presented. If any defects discovered during the field assessments still exist, the last 1-2 days of the program are set aside for a return to the field to mitigate any remaining defects and verify that all have been removed. Once all loops/radials are certified as 100% defect free, individual certifications are determined during a final review. Those performing to a level of acceptability are certified and will receive documentation to support their status for the determined certification period. 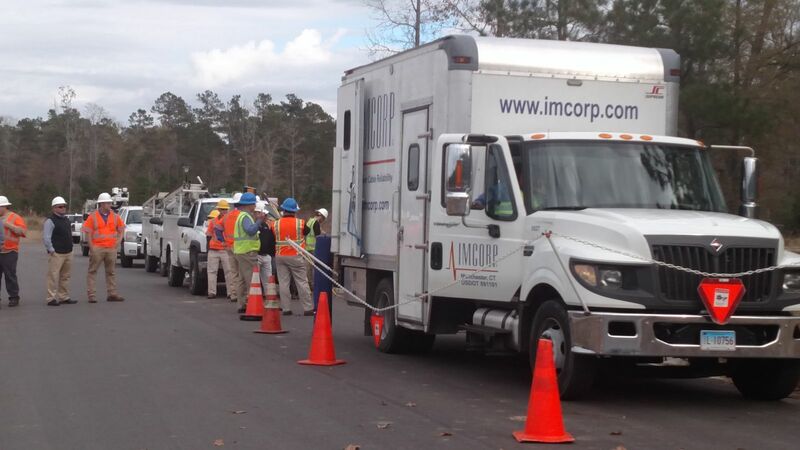 IMCORP is the leading provider of power cable reliability assessment services for medium and high voltage power cable systems for both new cable installations and aged cable assets. In our more than 20 years in business, we have assessed over 150 million feet of cable systems across 4 continents. Our professionalism and integrity have helped make us one of the fastest growing engineering services companies in the US for 8 straight years (by Inc Magazine). Our goal is to partner with our clients, achieve the maximum reliability attainable at the lowest total cost. Our Factory Grade® technology produces results exceeding the cable manufacturers’ quality standards. The IMCORP Factory Grade® assessment is a vital tool that can be used to ensure classroom efforts are realized in the real world. Crew certification with real time assessment of field workmanship completes the learning process with timely, situational learning. In IMCORP’s experience, this hands-on approach is the most effective way to successfully apply and reinforce classroom learning.